When somebody dies the family will hold many requiems: right after, 6 weeks after, 1 year after, every year after, at some special days and so on. And a Romanian requiem has to include a large, sumptuous food serving, almost like a party (but no music and no dance, of course). In this village apparently someone rich died, as the requiem was excessively large, even the photographer received a bread. 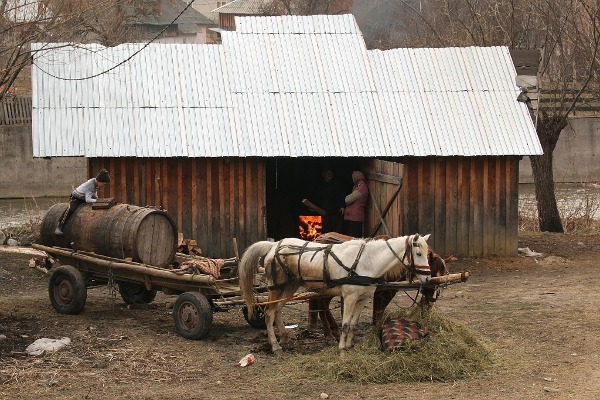 Like it or not, is a reality people around here like to drink, some a lot, some way too much 🙂 So of course an important place in the village is the distillery where they make țuică (usually moonshine). Here they make it from apples, since the region is surrounded by apple orchards. 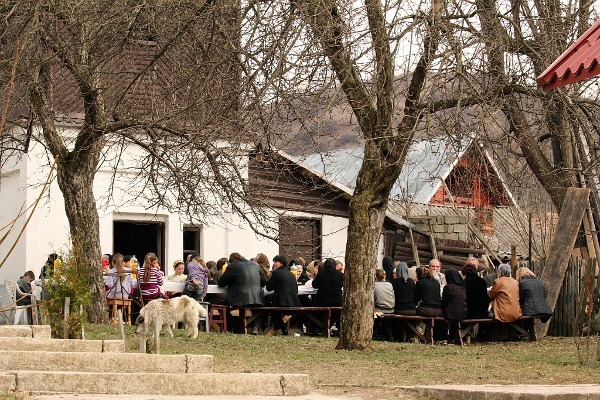 Romania is a country of shepherds, it was even since it was called Dacia, from shepherds we have a lot of traditions. Sure, in modern days the country changed a lot, but you can still see the flocks in the mountains or the remote villages near the mountains.